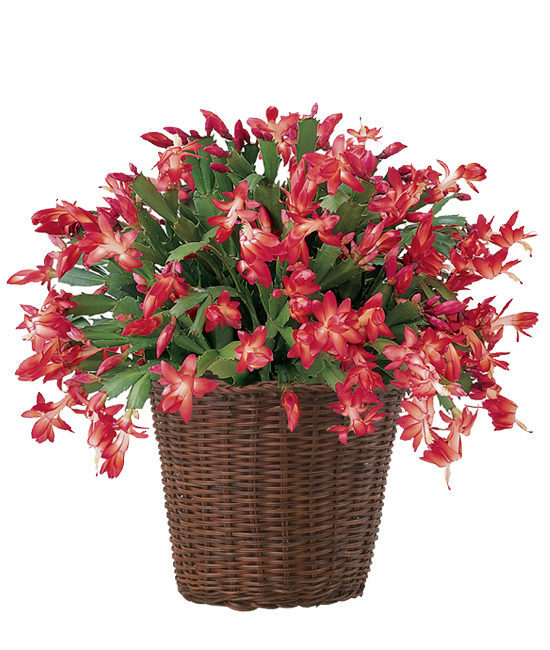 This seasonal succulent makes a unique and spirited holiday surprise for any recipient or business associate. It flourishes in any location with lots of light and often produces more than its namesake mid-winter bloom. 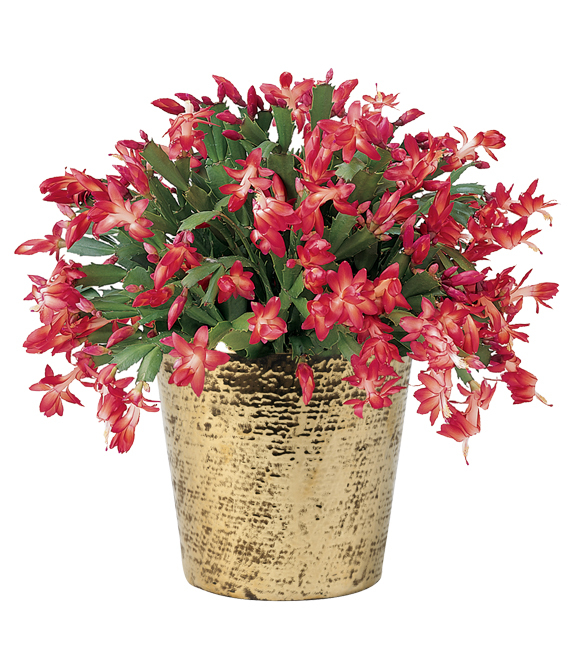 The 10″-12″ plant arrives in bud or bloom and is sent in your choice of a woven basket or our gold ceramic cachepot with its hammered finish. Keep plant moist but not soggy. Drain well after watering. The plant can tolerate some drought but don’t overdo it. Flowers last longer if plant is kept in cool environment. After blooming, light feeding with an evenly balanced nutrient mix is recommended. After blooming, place the plant in semi-shade where it will receive adequate light but very little direct sun.